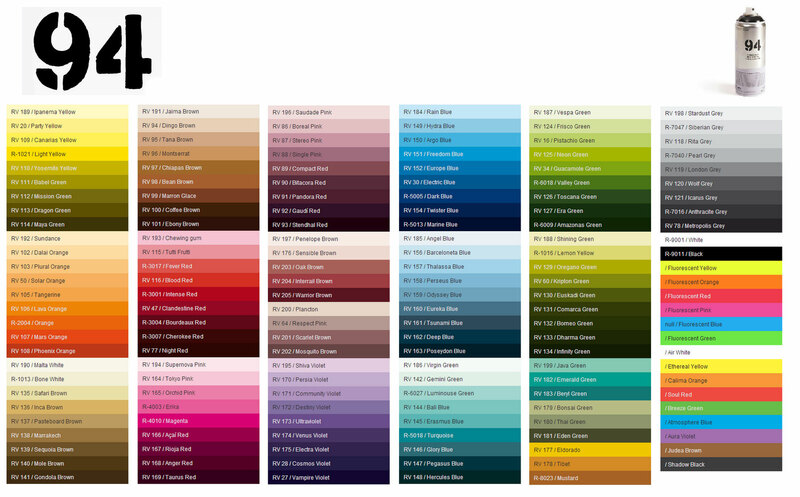 Montana 94 spray paint is a synthetic based paint with excellent coverage. It has a matt finish, dries ultra fast and it has a hi tech valve that allows the paint to spray at alternative pressures. 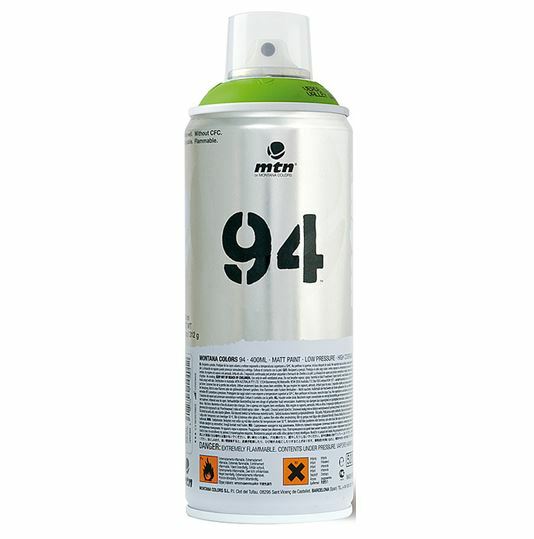 It is supplied with a MTN 94 paint cap that sprays at a very low pressure and it is great for detailed work. Το Mtn 94 απο τα καλύτερα σπρεϊ για γκράφιτι της αγοράς απο την Ισπανική εταιρεία Montana.